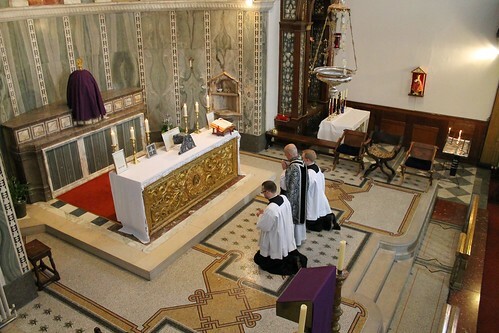 I would like to think Fr Elliot Smith, the priest in charge of this flagship church of the Ordinariate of Our Lady of Walsingham, for his hospitality. 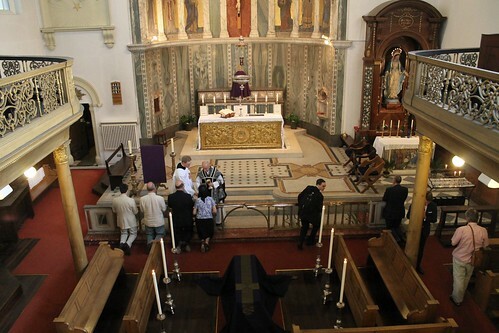 It is a truly lovely church, with a much larger seating capacity than might appear, because of the very large gallery. I hope to see more EF Masses here in the future. 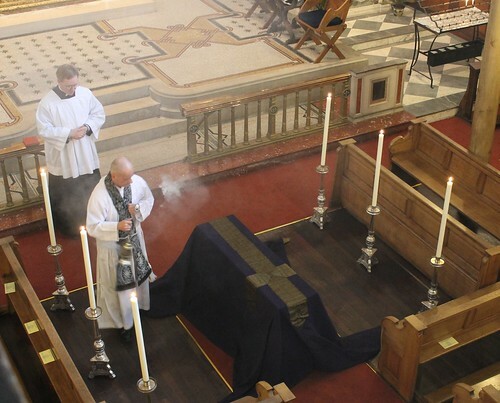 The celebrant was Fr Tim Finigan; Mass was celebrated simply, without incense. 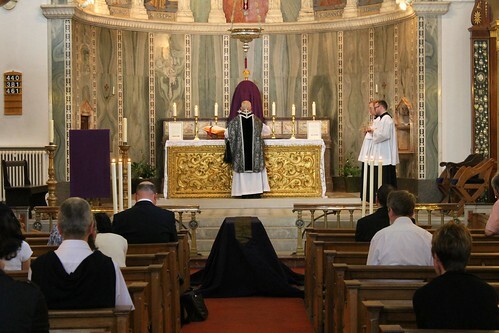 We had the 'absolutions' after Mass, the blessing of the catafalque (a coffin stand with a pall over it), a very lovely ceremony accompanied by some very lovely chants. 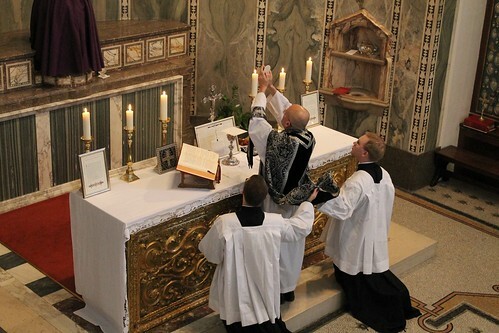 The Mass was accompanied by Cantus Magnus under Matthew Schellhorn, who sang a very lovely three-part Requiem Mass by Viadana. These photos are not by me; the full set is here.